Step 1 : Divide hair into three sections, the majority of your hair ending up in the low ponytail at the back of your head. Step 2 : Loosely braid the ponytail and secure it at the bottom. Step 3 : Tuck the bottom of the braid under the elastic securing the top of the braid, then pin the loop that forms to your head. Step 4 : Use the extra hair on the left and right sides of your head to wrap around the braid. You can twist them as much or as little as you like. 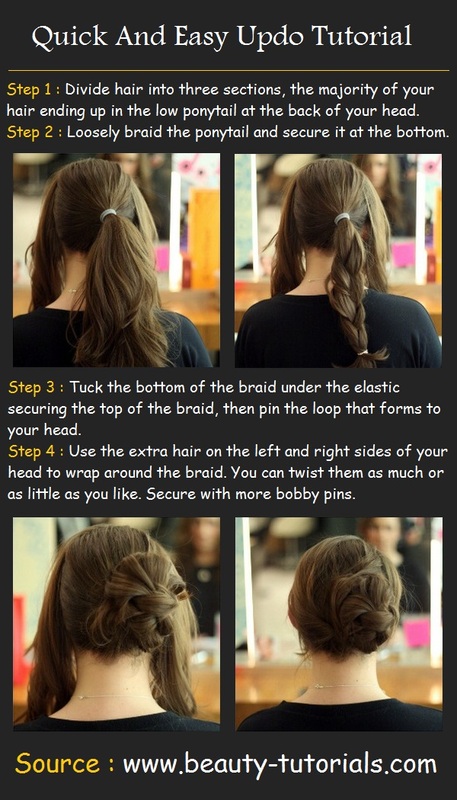 Secure with more bobby pins.